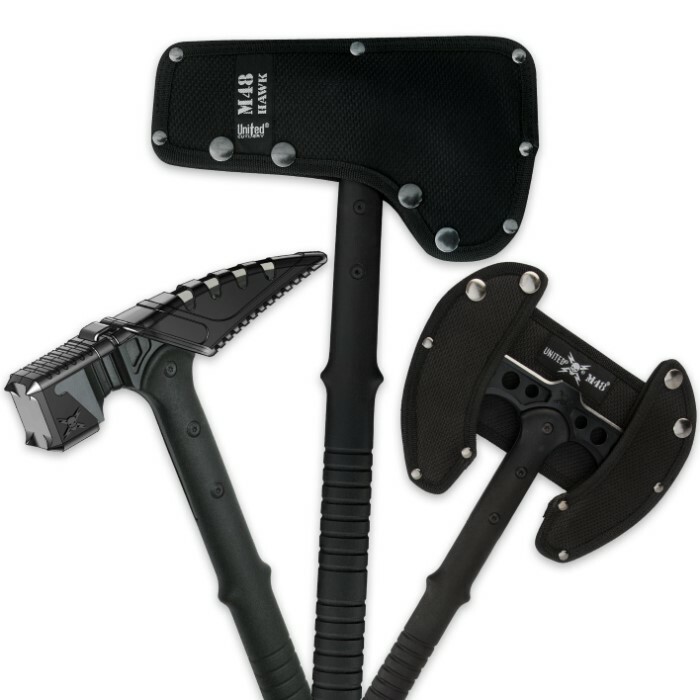 M48 Tactical Trio Tomahawk Axe War Hammer Set | BUDK.com - Knives & Swords At The Lowest Prices! Save $10 over buying these products individually! 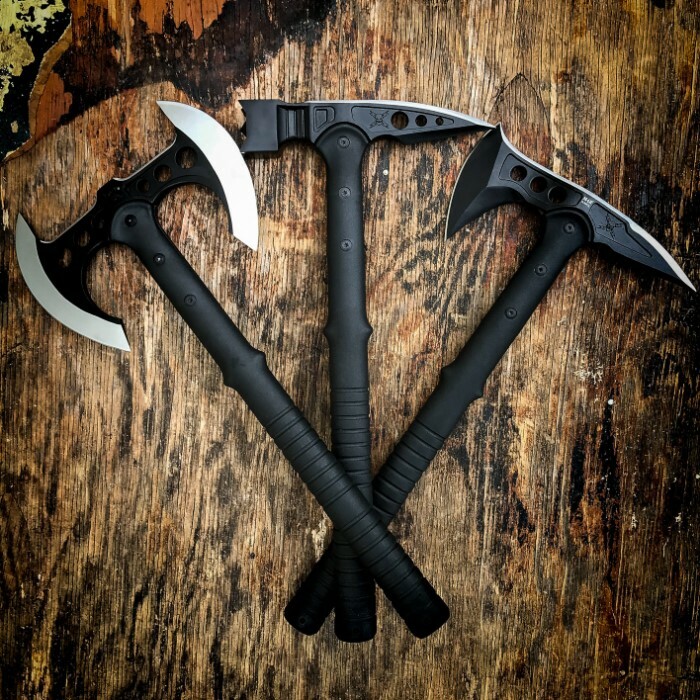 We've combined our top three M48 tactical tools into one incredible value pack! 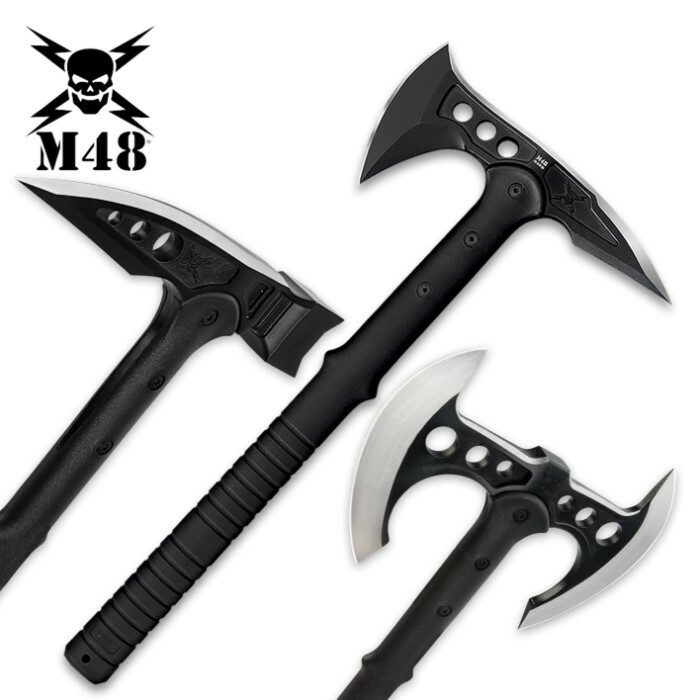 You'll get our original M48 tactical tomahawk, the new M48 double-headed tomahawk and the popular M48 tactical war hammer. Each of these rock-solid bad boys features a cast 2Cr13 stainless steel head attached to a reinforced nylon and fiberglass handle that is virtually indestructible. Each piece has a black oxide finish with sharp edges and piercing points, providing you with unparalleled chopping, slashing, breaching and pummeling potential. With this trio at your side, you can take on whatever dares to confront you!